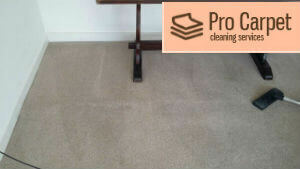 Are you in the need of a professional carpet cleaning service? Have your carpets already gotten smelly and have stains all over them? Or maybe you need help with cleaning the hairs of your pet, that are stuck in those beautiful carpets? You do not have to attempt cleaning them by yourself, because as much as you try you might not get satisfactory results if you do not have the necessary equipment or cleaning products. 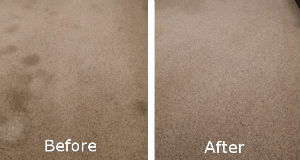 This is where we come in to offer you our professional carpet cleaning service! We are located and we operate here in N3 Finchley and we promise that you will not be disappointed with our service. We have made sure that we offer our clients only the best of everything. We have expert cleaners, latest technology and amazing low costs. The best thing you can do for your carpets is calling us soon and leave them in our expert hands! ﻿Here at our company, we have employed only the most experienced and skilled cleaners. They possess the proper knowledge to clean your carpet thoroughly. We have equipped them with the latest cleaning machines and necessary carpet cleaning products. Our professionals use only natural, chemicals-free cleaning products that have no harmful effect on your health and will in no way damage the condition of your carpets! Our carpet cleaners know that the different types of carpets need different cleaning approaches and they have what it takes to give you the best results not matter what your carpets are, how dirty they are or how big they are. 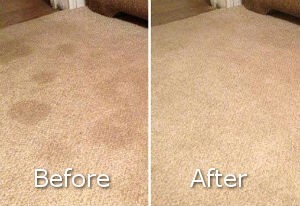 We use the best cleaning techniques while we are careful not to damage the colors or the condition of your carpets! Trust us, because we have proven ourselves to be the best in Finchley. Our experience brought us a lot of knowledge and a few tricks on how to clean everything the proper way and achieve the best results! You can find us also in Highbury and Finsbury Park. We know that sometimes you are a lot busy on the weekdays, so we offer the opportunity to book our carpet cleaning service in Finchley, on the weekends, too. This might be more convenient for you and we don’t mind working on Saturdays or Sundays, as long as it fits in your schedule! We offer our services on fixed prices. They vary according to the size of the carpet and the room it’s placed in. There are no extra fees, though. We will not charge you for the machines and cleaning products that we use! All of our employees are very professional in their work and are attentive in the process of cleaning. They will remove stains and dirty particles from it. They are also able to extract up to 95% of the moisture in your carpet. One of the best things is that after they are done there will not be any unpleasant smells in the cleaned areas. The work we do is very responsible and we have professional approaches in every cleaning task we get. Throughout the years we’ve collected knowledge and we better ourselves every step of the way. Our carpet cleaning service is suitable for your needs and it will leave you happy with your choice! If you decide to contact us, you can do it on the phone, or on our e-mail. Our customer support team is waiting for you! They will politely explain to you anything you want to know and will readily answer any questions you might have! We offer the best carpet cleaning service in Finchley, so you better take advantage of our hot offers! Call us and book the service whenever you want!